We are proud to announce the signing of British alt. rock legends Swervedriver. The band will release their brand new album Future Ruins on January 25th and are previewing the record with the brand new cut ‘Mary Winter’. Listen now on YouTube and pre order 'Future Ruins' on CD, Download and heavyweight black vinyl here. A heavyweight red vinyl will also be available at indie record shops exclusively. ‘Mary Winter’s storyteller harks back to a longstanding trope for the band, who self described their music as “space travel rock’n’roll” in the 1990s. Across the four-album arc of their first era – Raise (1991); Mezcal Head (1993); Ejector Seat Reservation (1995); 99th Dream (1997) – Swervedriver made music that was all about the journey: songs called For Seeking Heat, Planes Over The Skyline, Juggernaut Rides, 93 Million Miles From The Sun And Counting. Swervedriver simulated the thrill of propulsion, the euphoric arrival, the anticipation of going back again… of moving on. During 10 years in absentia, the band’s legend grew. In 2005, a two-disc anthology was compiled with the band’s involvement, and foretold a resurrection. The trip resumed in 2008, with Swervedriver encountering the acclaim they ought to have enjoyed a decade earlier. A fifth album, I Wasn’t Born To Lose You, emerged in 2015, a mere 17 years after its predecessor, and trumpeted the return of some eternal Swervedriver virtues. And now the journey continues with Future Ruins. The record presents a band moving with real time and real life vitality, showcasing new tricks alongside classic hallmarks. 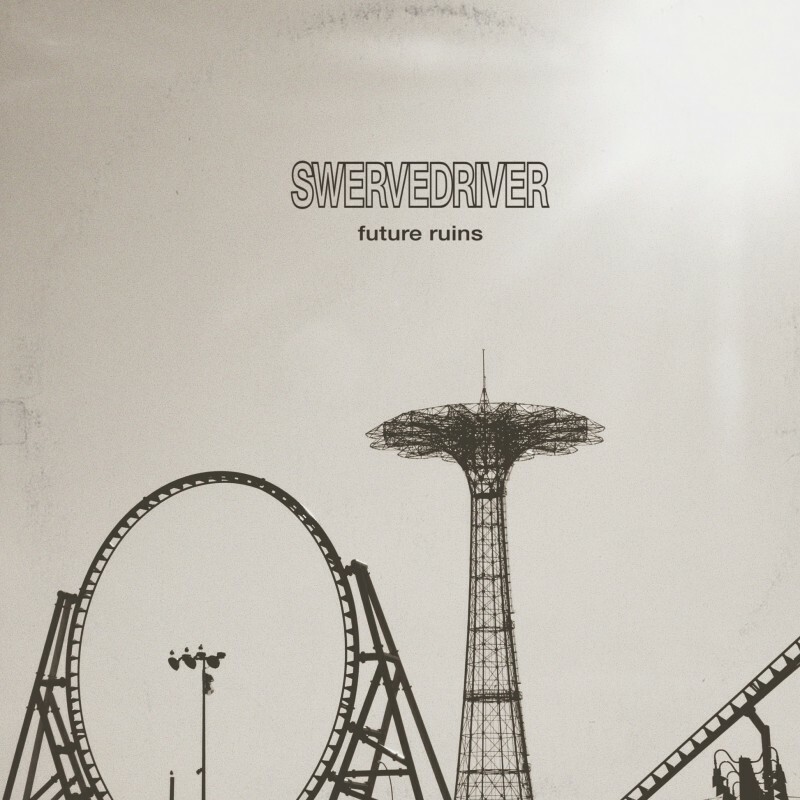 Future Ruins exhibits Swervedriver’s fabled widescreen escapism, but with a tension that echoes the sleeve image of Coney Island in skeletal monochrome, like a post mortem photograph of a failed utopia.